starting in October 2015 and finishing in May 2016. • Connection to Gigaclear ultra fast fibre broadband is available at the property . 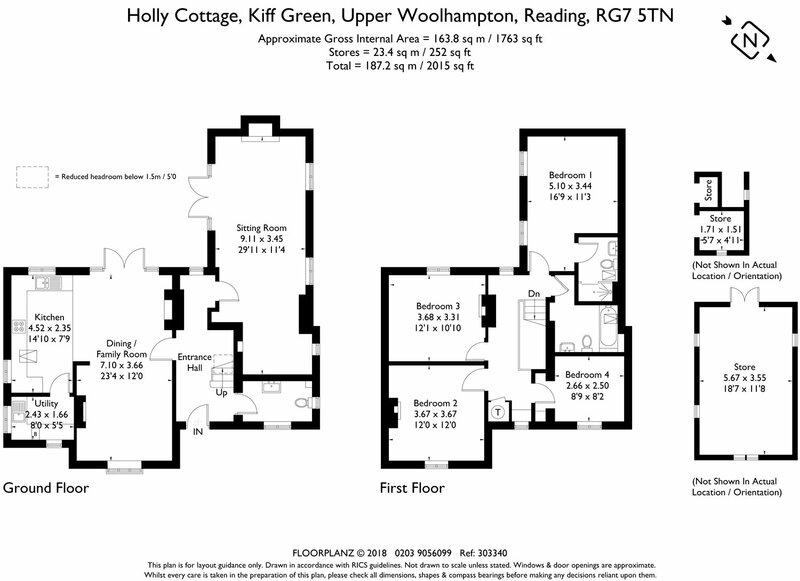 • Holly Cottage is situated in the hamlet of Kiff Green, a short distance from the villages of Woolhampton and Chapel Row. surgery. Bradfield Southend is only a short distance away with a village store and post office. • The Douai park recreation which has excellent tennis facilities and a stunning cricket ground is only a short distance away. • The more comprehensive amenities of Newbury and Reading are 8 and 10 miles respectively, and the M4 (J12) is just 5 miles away, providing access to the West Country, London and its airports. including Elstree, St Andrews, Brockhurst & Marlston House, Cheam, Bradfield, Down House and Pangbourne College.